Sweet Girl Flower Arrangement is filled with roses, tulips, hydrangea and many fresh greens. 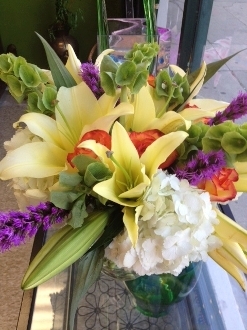 Same Day Flower Delivery Los Angeles and surrounding cities. Send flowers today.